NVIDIA graphics combined with Intel's new processor generation make mobile workstation brawny. Eurocom’s new Tornado F7W Mobile Workstation features NVIDIA Quadro graphics and the user’s choice of multi-core/multi-thread Intel processors, including the Xeon E-2186G, Core i7-9700K or the next-generation Intel Core i9- 9900K. 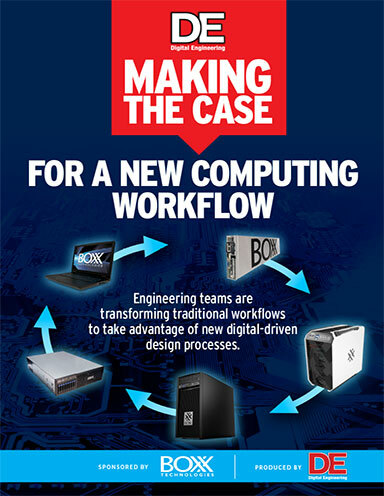 Image courtesy of Eurocom Corp.
Engineering teams are transforming traditional workflows to take advantage of new digital-driven design processes. I have four laptops. Each has a different role that justifies such excess. Yet all share one commonality: I can bring work with me wherever I roam. Lots of your work demands that kind of mobility. But with increasingly complex designs, rendering and analyses, you need a mobile workstation with the oomph to handle your workload with alacrity. Today's Editor's Pick of the Week sounds like it should fit the bill. 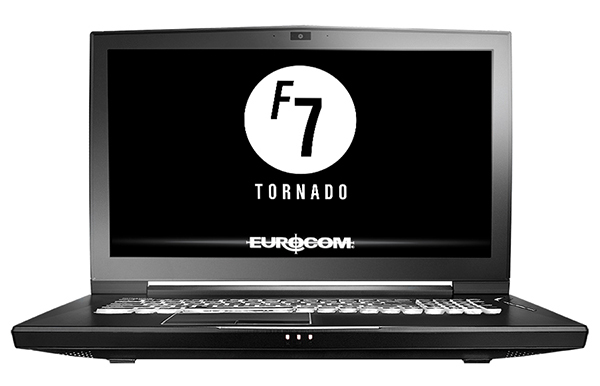 Eurocom recently announced availability of its new Tornado F7W Mobile Workstation. They call it “a supercomputer-class laptop,” and its specs make a good case to back up that claim. Here's what this highly configurable baby can deliver you. Let's start with the brains: first CPUs then GPUs (graphics processing units). You have your choice of a six-core/12-thread Xeon E-2816G, an eight-core/eight-thread Core i7-9700K or Intel's next-generation eight-core/16-thread Core i9-9900K microprocessor. The Xeon and the i7 chips have 12MB caches, while the i9 CPU provides 16MB. All turbo boost well above 4.5GHz, with the i9 hitting 5GHz. Graphics: You can trick out the Tornado F7W with a professional-level, high-performance NVIDIA Quadro P5200, P4200 or P3200 GPU. What’s neat here is that the F7W GPU can be upgraded. Each has multi-gigabyte graphics memory. Speaking of memory, the Tornado F7W supports up to 128GB of double data rate ECC or non-ECC RAM. The Xeon chip uses the ECC strategy. The workstation's three solid-state drive slots and two 2.5-in. SATA 3 bays means that its storage memory can reach 22TB. Company calls 9.1-lb. laptop workstation supercomputer class. Configurable to run multi-core/multi-threaded Intel Xeon, Core i7 or Core i9 CPUs. Accommodates up to 128GB RAM and as much as 22TB of storage. Choice of 17.3-in. FHD or UHD (4k) displays; supports four external screens. Built-in security features; multiple and various expansion ports. You'll also be able to see what's happening. The Tornado F7W Mobile Workstation comes with a 17.3-in. display. You can go for a 120Hz 1920x1080 FHD (full high definition) or a 60Hz 3840x2160 UHD (ultra high-definition/4K) screen. It handles four external displays, too. The Tornado F7W weighs in at 9.1 lbs. and should fit in a backpack. So, couple lots of memory and perky storage throughput with any combination of those CPUs and GPUs. 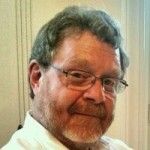 You should get first-class response out of your CAD/CAM/CAE applications wherever you have to be. People at Starbucks will gawk at you. The Tornado F7W Mobile Workstation sure seems like it can make taking work onto the road a speedy, no compromise alternative worth checking out. You can learn more about the Tornado F7W in today's main write-up. Make sure to click the link to play around with the real-time configuration tool.